The law enforcement team in the EPL has had a very busy start to the year. There has been a heavy focus on training of rangers from the Ministry of Environment (MoE) to ensure that they have the necessary enforcement capacity and are able to patrol effectively within the Srepok (SWS) and Phnom Prich Wildlife Sanctuaries (PPWS). Over the course of FY18, the number of rangers increased from 33 to 73 in SWS and by the end of June, 92.5% of rangers had received training sessions which covered basic ranger skills, leading patrols, elephant collaring, identification of animal species, SMART training and first aid. A concrete recognition of the integrity of these trainings was the recommendation for WWF, by the Cambodia based acting mission director of USAID, to act in an advisory capacity in the development of a training curriculum to be delivered to all MoE rangers, to be administered with support from the US Forest Service. This reflects well on the advancement of WWF in developing effective ranger training curriculums. Similarly to the Mekong Flooded Forest, law enforcement officers in SWS & PPWS aim to educate resin and non-timber forest product (NTFP) collectors that frequent the sanctuaries, concerning the prohibition imposed on entry into the planned tiger restoration zones. These attempts to raise awareness are vital in a successful zonation of the area in the future, to ultimately achieve the longer-term goal to reintroduce tigers in the EPL. In respect to community protected area (CPAs) patrols, teams from seven CPAs, patrolled equivalent to 620 days and 420 nights between January and May 2018, covering distances of 4838.07​​​​​​​​​​​​​​​​​​​​​​​​​​​​​​​​​ km. 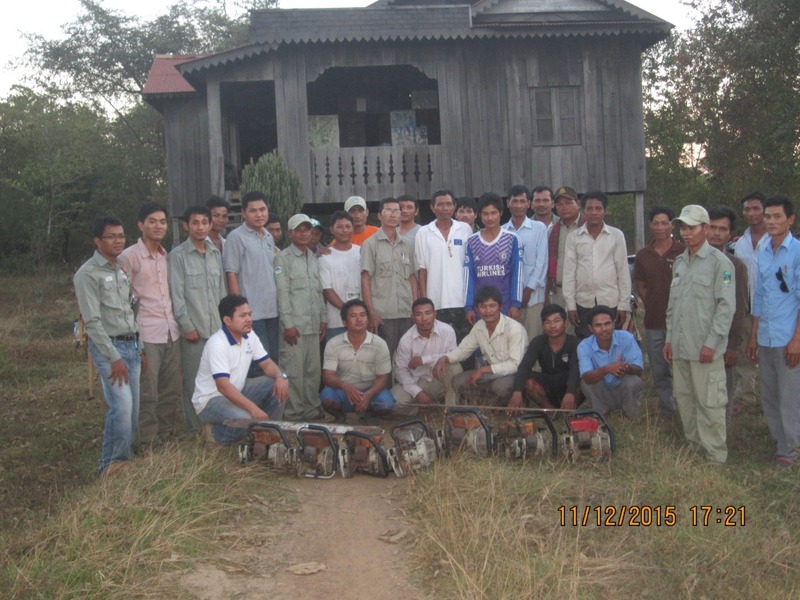 Results from these patrols included the issuance of three warning letters, education of 29 people on environmental laws, removal of nineteen snares, destruction of one illegal logger’s camp and the confiscation of one trophy red muntjac, one motorbike, one chainsaw, one homemade gun and 21 wood logs from the CPA forests. From January to June 2018, there were 464 camera traps deployed at over 232 stations within SWS and PPWS. These were through a joint collaboration between WWF, Panthera and the Ministry of Environment. This is the largest ever camera trap survey conducted in these areas. In addition to the results from CPA led patrols, the patrol teams in SWS & PPSW removed a combined 1755 snares, destroyed 57 illegal camps, and referred 22 cases of illegal activity to the courts which saw each case afforded due process. It has been a busy year for the EPL enforcement team, and it seems that things will only continue to get busier! Law enforcement team in EPL confiscated chainsaws.